There are a small number of families that can be described as ‘dysfunctional’. Two or three families and their wider network of contacts can create havoc on a housing estate or inner city neighbourhood. It is always in areas of greatest disadvantage that this corrosive effect is seen and felt most clearly. Sometimes it occurs where there has been considerable family breakdown; multiple partners can pass through the house; children do not have a positive role model; there is little in the way of a predictable orderly routine; and the lifestyle is such that it makes the lives of neighbours a complete misery. This thinking – socially conservative, hetero-normative and judgemental – culminates in the idea that these factors lie the root of a ‘Broken Britain’, an idea popularised under the Coalition government and championed especially by the influential right-wing think-tank the Centre for Social Justice and its controversial founder and current Conservative Secretary of State for Work and Pensions, Iain Duncan Smith. At the same time, ‘good parenting’ is promoted as the policy solution to address the problems of ‘dysfunctional families’, behavioural trouble and lack of moral norms in young people. As a result, family intervention politics has focused on teaching and developing parenting skills, which, it is assumed will encourage generations of unemployed and unskilled families to develop a sense of individual responsibility for, and thus also a way out of, their poor social position. This focus on good parenting has been supported by various media discourses, such as supposedly positive stories about tiger moms helping their children to become overachievers and the beneficial effects of breastfeeding and home-cooked healthy meals on children’s minds (increased IQ) and bodies (not becoming obese). This politics of individual responsibility is not just the brainchild of the Conservatives: intensive family support and parenting classes became national policy much earlier, certainly under New Labour’s Respect Action Plan of 2006 which began to establish a national network of Family Intervention Projects. Nevertheless, this focus was intensified under the Coalition government by openly framing social problems as being caused by parental ‘irresponsibility’, thereby shifting the focus away from important societal causes such as poor housing, poverty or inequality. Indeed, under the Coalition government the focus on parenting skills as actionable behaviours that can solve almost everything from poverty, social exclusion, crime and poor health worked to deepen the shift of responsibility from society to the individual. In particular, this shift focused on women, especially mothers. As the providers of the majority of childcare, they were normatively targeted by family intervention policies as both the cause of problems and the potential source of resolutions to behaviours among children and young people deemed to be socially inappropriate by the state. But what actually is ‘good parenting’, according to Conservative Party ideology? The closest one gets to a definition comes from the report ‘Mending Broken Britain’. Here good parenting is loosely defined as providing a stable family life and avoiding family breakdown, being confident and able and instilling social responsibility into one’s children, as well of course as earning enough money from waged work to be able to parent. As such, in this discourse, avoiding family breakdown is seen as the most important pathway out of poverty and societal failure. There are several notable implications of this. First, two-parent families are more likely to be able to balance the responsibilities of work in the household and work outside of the home in the formal labour market. Such families are encouraged, via education and other policies, to be ‘aspirational’ for their children and to do their best to ensure that children themselves become aspirational. It is clearly envisaged that such children will then be most willing to invest in their skills and compete effectively in the labour market. Indeed, over the long term it is expected that inter-generational aspiration will have its own cyclical and reinforcing effect. Post-election party politics also suggests that where families live up to these aspirational expectations they will be ‘courted’ by party competition. By contrast, where they do not, it looks as if they will be continuously disciplined through welfare austerity or targeted interventions. Of course, this politics of family and household aspiration flies in the face of evidence about the nature of the contemporary labour market. Many families continue to experience in-work poverty because of low pay, insufficient hours or ongoing job insecurity. Additionally, evidence also suggests that aspiration alone is insufficient to guarantee progression in the labour market. As the Social Mobility Commission continues to report, opportunities are not distributed purely on merit, but are influenced by pre-existing patterns of household wealth and advantage. Even if this were not the case, would it really be desirable for all children to want to be high-paid Chief Executive Officers? Who would cut hair or nurse the sick? Presumably only those disgruntled souls who fail to realise their aspirations? The problem here is not that people continue to want to work in jobs which are currently low paid; it is instead the highly unequal distribution of rewards for socially beneficial work itself. Finally, competition for work itself – especially, but not only, in the context of low pay – often depletes the resources that families and households require to care for and nurture their members. Seeing the family and household as units of production within the formal labour market may actually undermine the resources required to reproduce in stable fashion either the household or wider society. 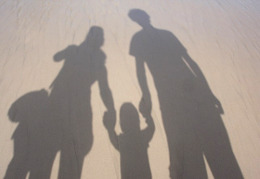 The second implication of the ‘good parenting’ policy logic is that two-parent families are seen as better able to ensure that children and the young do not destabilise society in other ways: ‘it is from our family that we should learn unconditional love, understand right from wrong, and gain empathy, respect and self-regulation’, values that ‘Broken Britain’ clearly lacks. Family breakdown is defined very narrowly here as ‘divorce and separation or dysfunction and dad-lessness’. Two-parent heterosexual families are thus constructed as the desired type of household, the one most able to contribute toward societal stability now and reproduce it in the future. Clearly, such a construction of family breakdown is blind to the reality of many people’s (especially women’s and children’s) experience of family life where decisions to break up ‘families’ are often beneficial to all members involved, not least the children. The idea that children’s understanding of proper societal values and norms derives mainly through a ‘male father and female mother’ parenting ideal clearly resembles the classic hetero-normative ideology of the 1950s, with all its shortcomings. Loïc Waquant’s reference to a ‘tenacious ideology of gender and the family that makes poor unwed mothers (and fatherless children) into abnormal, truncated, suspect beings who threaten the moral order and who the state must place under harsh tutelage’ clearly fits well here. All this manifests a white middle-class ideal of what the family is and of gendered roles within it. It shifts societal responsibility for a narrowly envisaged understanding of nurturing and care onto families and individuals, blaming those who cannot live up to arbitrary set norms and values for wider societal failures.